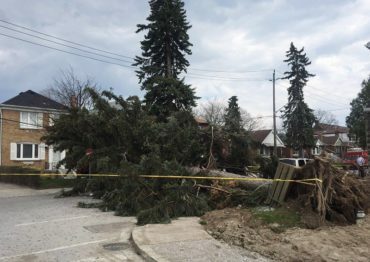 The sheer volume of claims following the windstorm that swept through southern Ontario and Quebec last May led to critical service disruptions, after so many consumers called at once to report their claims to their insurers. The event occurred on May 4, 2018, a Friday night. With winds of up to 126 km/h, 600,000 people lost power. The May 4-5 event was the costliest insured loss event of 2018, totalling over $622 million, said Laura Twidle, director of catastrophic loss analysis at Catastrophe Indices and Quantification Inc. (CatIQ), in a separate presentation. Whenever there is a cat event, the industry tends to look back and figure out where it could do better. One key component of this, Biggs said, is a flexible capacity plan. Obviously, resources need to be available when a client calls in. “If we don’t get them on that first phone call, they’re liable to phone back two or three times,” possibly creating a massive bottleneck. “So, understanding our capacity plan and being very flexible in our capacity plan is a primary focus for us,” Biggs said. provide information on things like what to expect from an insurance claim. Even smart home technology can be used “so homes can actually tell us they’re sick, so we don’t necessarily have to send somebody out there,” Biggs added. Does Canada have the adjusting resources to handle back-to-back catastrophes?